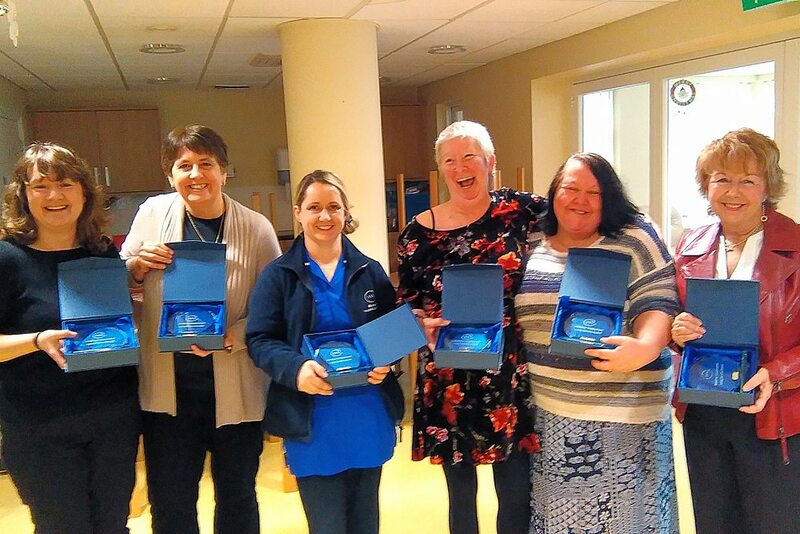 Weldmar Hospicecare presents awards to staff with over 20 years’ service. In December 2016, Weldmar Hospicecare held a presentation for all staff who had achieved over 20 years’ service. Two of Weldmar’s Board of Trustees (Sue Hawkett and Merv Edgecombe) along with the Chief Executive (Caroline Hamblett) were proud to be able to make the presentations. Shown in the photo are (from left to right): Chris Barrett, Julie Nash, Angela Fairman, Gill Jowett, Woody Callow and Susie White. A current listing of job vacancies with Weldmar Hospicecare can be found by following this link.